THE BEST ORGANIZER FOR YOUR CAR! Are you looking for an organizer that will fit any type of car? 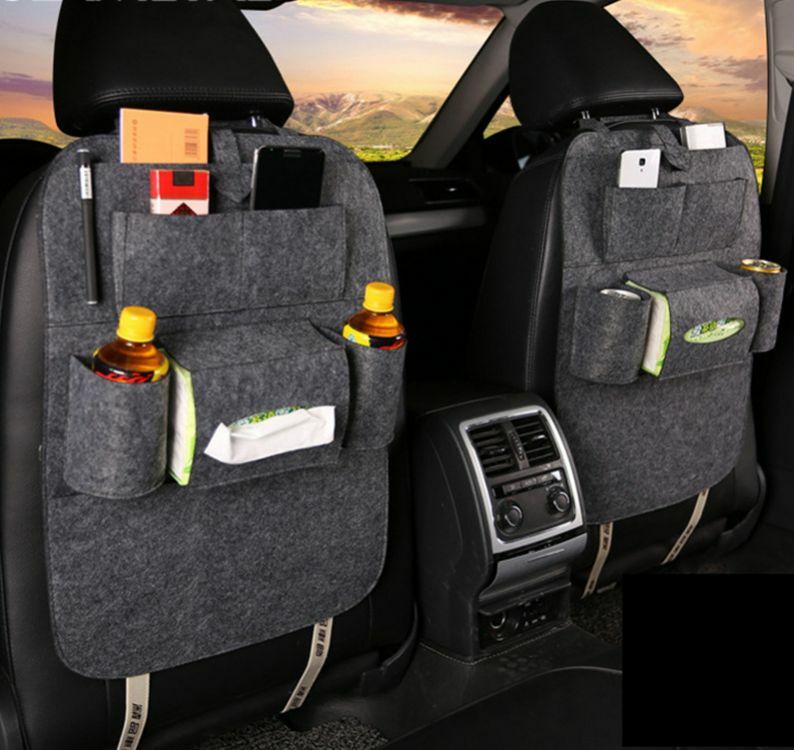 It's time to get the multi-purpose seat organizer and get rid of that clutter in your car! With its multi-pocket style, you're sure to have somewhere to place all your stuff. It has two pockets for your drinking bottles, a dispenser box, and a pocket for your phones, pens and notes. Having this in your car will save you more space and minimize mess. Get one or two now!